Eager to get my hands on the Resident Evil 2 remake, I explored the 1-Shot demo to see what exactly had changed since RE2's original release, and have included my gameplay and thoughts below, along with an extra special treat at the end. So, first thing's first - The Resident Evil 2 Remake is just around the corner. It's my most anticipated title of 2019 (next to Devil May Cry 5) and will be releasing next friday (25th Jan). I'll be reviewing the title once codes go out, but for now, here's what I thought of the Resident Evil 2 Remake demo. To start, Zombies are no joke. This is huge, as we've become accustomed and far too desensitised to the now pretty stale slow moving brain munchers of past titles. Capcom needed to do something drastic and though I absolutely love both Resident Evil 4 and 5, considering them to be the pinnacle of the series (4 with its single-player and 5 on the multi-player front), Resident Evil needed to return to its roots. It needed to scrap its over the top action and go back to what really made it the horror series so many of us remember it to be. We needed the return of pure Survival Horror. My mission: To shoot that ridiculous hat off his head. Upon firing up the demo, it quickly became apparent that's exactly what's in store for us, even if the hideously menacing Mr.X now fashions a Fedora. That said, he doesn't make an appearance within the demo, but with Zombies taking 6-8 shots to put down permanently, do we really want to fight such an intimidating foe? Not yet, but we will come release. My main priority in this 1-shot demo was to explore. I wanted to check out everything within the lobby of the RPD (Raccoon Police Department). I wanted to appreciate the visual upgrade and immerse myself within one of the most iconic buildings of gaming history. With only half an hour to do all of this, I knew the clock would be against me, but took in as much as I possibly could before venturing out into the (somewhat) unknown. Those of you who played the original Resident Evil 2 will know that as soon as you enter the RPD and view the screen at the front desk, you're immediately taken through to the west wing. In the demo, this isn't the case however, as your first objective is to activate the shutter door and proceed into the East Wing, immediately throwing us into unknown territory. It's in this area where we get our first taste of Zombie action, and with the huge visual overhaul, there's something far more human about these Zombies and it's unsettling to say the least. I find it incredible how making a few simple changes to the route can have so much of an impact on the overall experience. The RPD itself is very much the same building we've all come to know and love, yet it feels both familiar and different at the same time. It's taken what we already know to be true of the building layout, built upon and somewhat expanded upon it, then changed the order of events, giving both fans new and old something fresh to explore and immerse ourselves within. Knowing full well what awaited me around the corner, I made it a point to focus my attention on both the floor and ceiling, just in case IT was there waiting for me, lurking in the shadows. With some luck it wasn't, but it makes you wonder just how lethal they'll be in the final release of Resident Evil 2's remake. Approaching the end of the demo, I realised I'd gotten lost and so I ran back to the lobby to gather my bearings before loading up the map once more and finally finding the route out, which just so happened to be a crate with no markers up against a wall. Proceeding to climb through, the weapon locker key I found earlier gave me access to the Shotgun, while the smaller accessible lockers provided me with ammo and other helpful items. Being attacked shortly after by several Zombies was the perfect opportunity to test out my new weapon and where the Pistol does very little in the way of harm to the surrounding undead, one single shot to the head with a Shotgun drops the flesh-eating threats instantly. This is one gun you'll be making good use of. Outside of this, puzzles are back and when the full game releases next week, I think it's safe to say we'll be immersed for some time. The visuals are absolutely incredible and there's no better way to describe the gore than disgustingly brilliant. It's truly sickening. Overall, the demo was great, if a little too short, but then again it's an excellent taste of what's to come and has left me salivating for more. The demo is currently available on PC, PS4 and Xbox One and if you're yet to see it, check out the latest trailer below. It's the one you unlock as a reward for playing the 1-shot demo, but be sure to check it out, as it proves Capcom really seem to know what they're doing here. 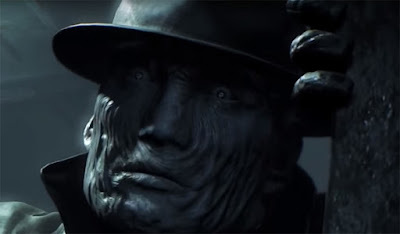 Resident Evil 2 looks to be something special and I can't wait to get my hands on it! What's that? Hunk and Tofu are returning as playable characters? Now that's fan service! Have you had a chance to play the 1-Shot demo yet? Let us know in the comments below or hit me up on twitter @CaptainCortez.